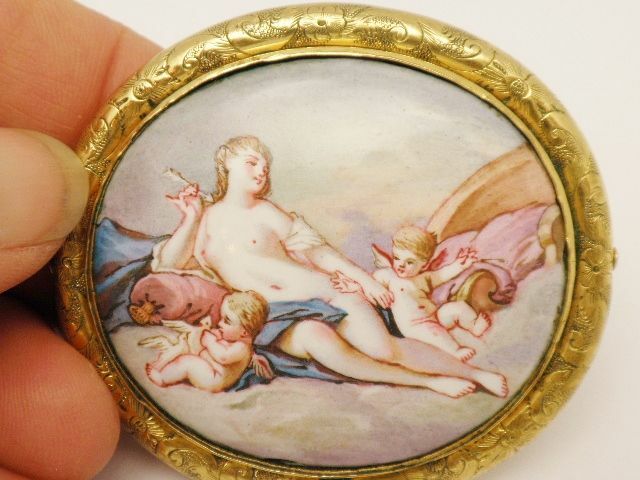 From a private estate we have a beautiful antique brooch. 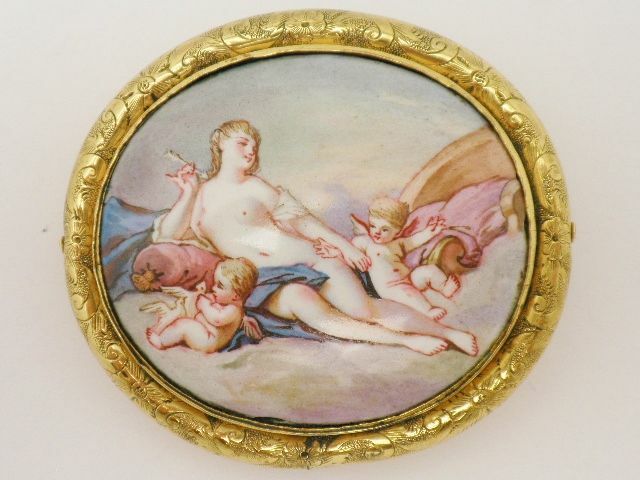 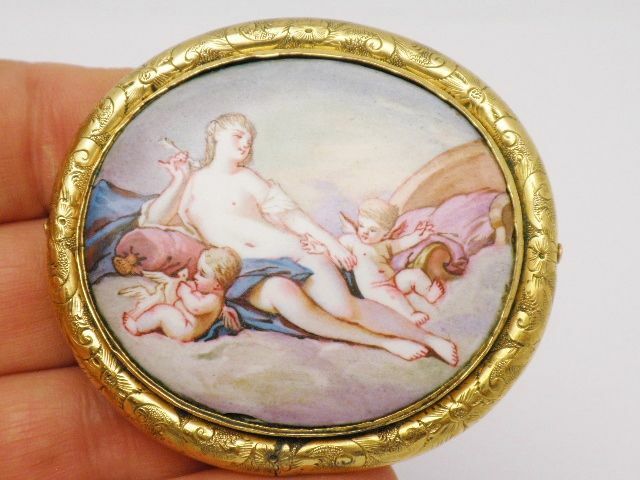 The brooch depicts Venus with two cherubs. 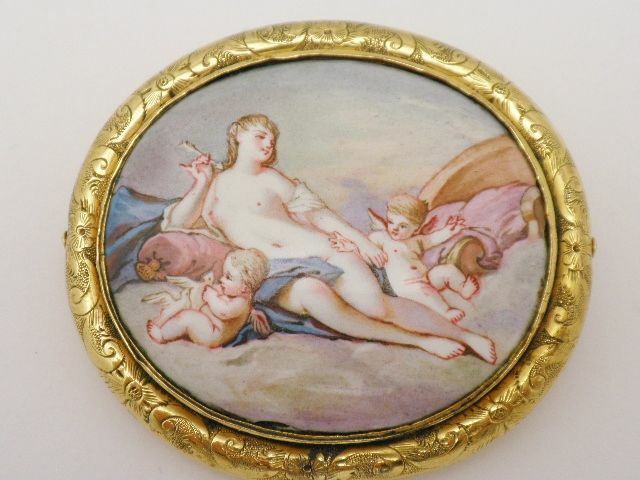 The piece is beautifully executed enamel on copper in a Pinchbeck frame. 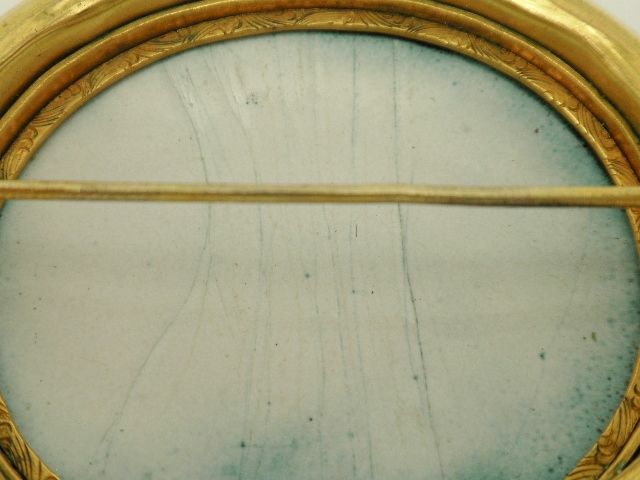 The enamel is in pristine condition. 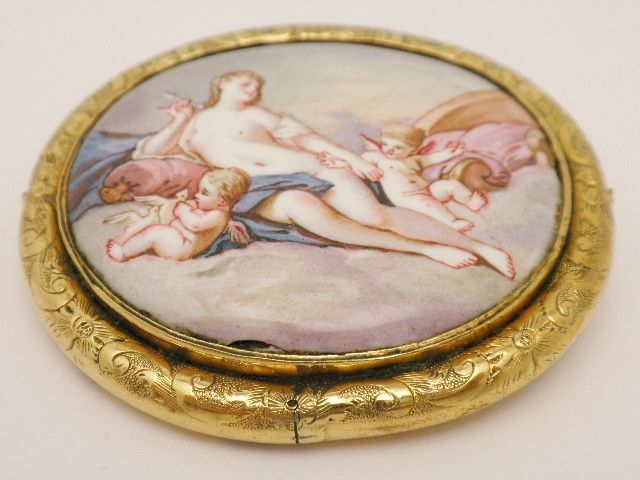 The brooch measures 2 1/4" wide by 2" with a projection of 3/8". 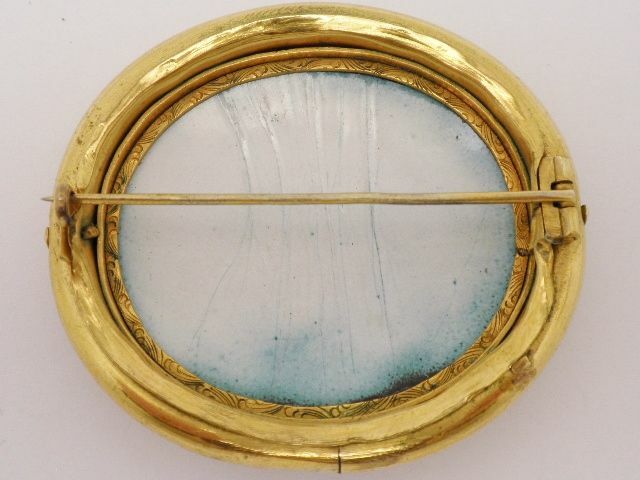 The frame is hand engraved. 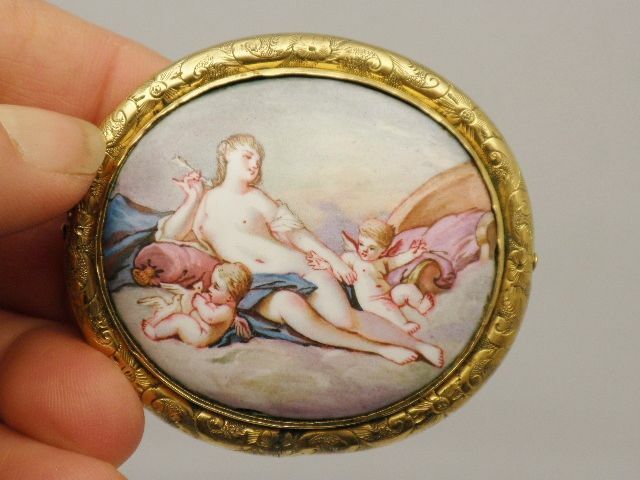 We date the brooch circa 1840-60 legal antique.